Christian meditation using art is a powerful means of meditating and connecting with God. 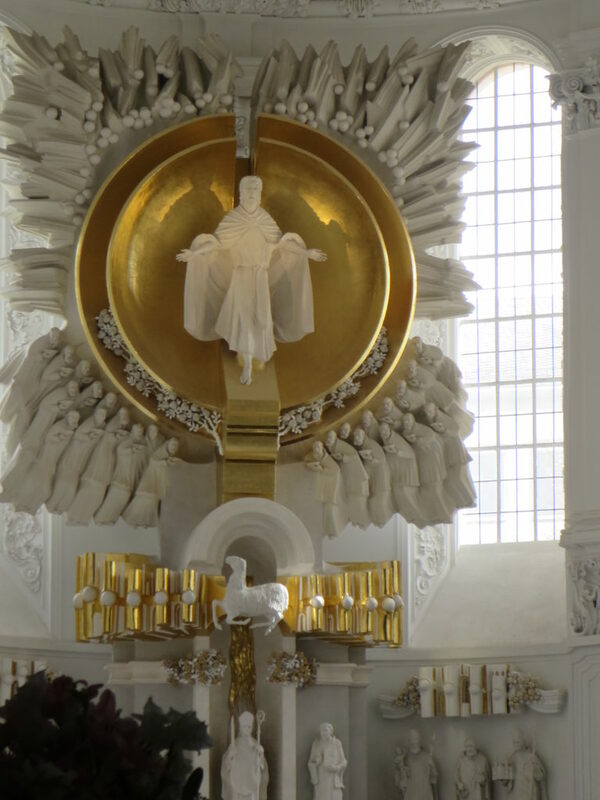 Christian meditation using art is also known as Visio divina. It is similar to the ancient meditation practice of Lectio divina which uses passages from the Bible for personal interaction with God by focusing on details that capture your attention. 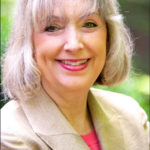 Here are the steps to Christian mediation using art. Images can be in any form. They can be paintings, stained glass windows, sculptures, photos, book illustrations, icons, church tombstones and even postcards and Christmas cards. You can find images to use in Christian meditation using art in many places – on visits to churches and cathedrals, in art galleries and museums, in books, online or even in pictures found in an antique or thrift store. If you would like to try doing Christian mediation using art on a certain theme, you can go online, you can search for images on a theme, such as the crucifixion, the good shepherd or heaven. Then search through the images until you find an image that captures your attention for some reason. As you look at the image carefully look at the first thing that catches your eye. Think about what draws you to it. Does it surprise you? Intrigue you? Make you feel peaceful? Cause you to wonder about something? Look at the whole image and study the details. As you look at every detail carefully, think about what they might symbolize or mean. Consider colors, facial expressions, mood, focal point, light and dark, arrangement, hand gestures, symbols like doves, books, halos etc. 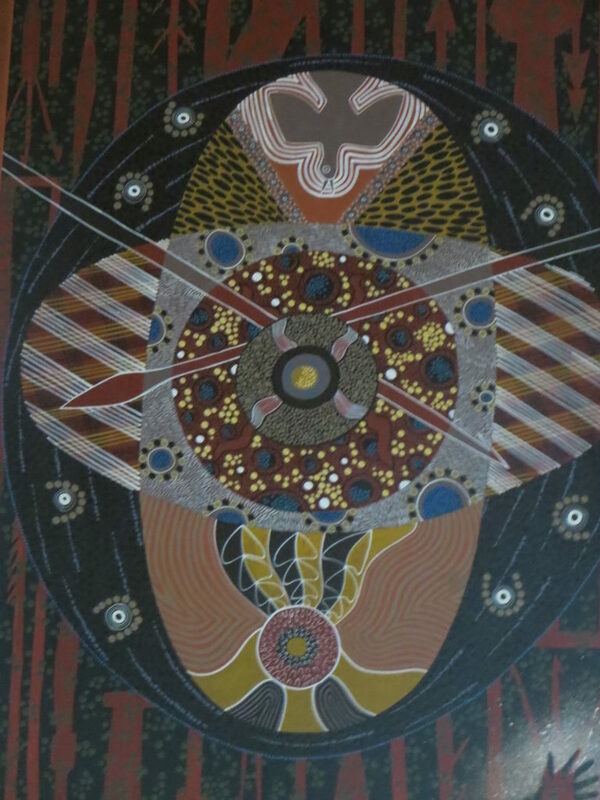 If available, you might read a short background of the image, why the artist did it or what some of the elements symbolize. I sometimes find it helpful to use my phone or a camera to take photos of the artwork, especially if it’s very detailed. Photos help you zero in on different details so you can think about their significance and help capture the setting, the lighting etc. What feelings come up when looking at this image? What does this image revel to you, teach you about yourself or teach you about God? What might it say about your life situation? Spend a few minutes in silence and then form a prayer about what you have learned from this image. Naturally allow the Holy Spirit to show you a personal lesson, message or insight from your meditation using art. Afterwards I sometimes google more information about the artwork, artist or the location I have visited. I also purchase guidebooks onsite that tell more about the symbolism and story behind the artwork. Each piece of new information you learn from the image will add to your closeness to God through the piece. I have found that once you know the simple guidelines of doing Christian meditation using art you can do it easily and naturally any time you see an intriguing image. Traveling. I find Christian meditation using art especially useful when I’m traveling. Nearly everywhere you might go, there’s a church to visit that has something unique that will catch your eye and bring you closer to God. There’s something extra special about viewing religious artwork in their settings where you can experience them from far away and up close and sit quietly and let God speak to you. I ‘ve found that doing small moments of Christian mediation using art in places I visit is like being on a treasure hunt while traveling. It also gives me moments of nearness to God during the hectic pace of travel. And it gives me things to mediate on more deeply when I return home and look at my photos. Unusual finds. 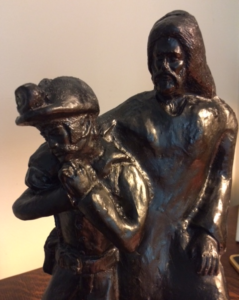 The most unusual place I’ve found an image that I used for Christian meditation using art was at a community garage sale in Baltimore, MD where I happened upon a statue carved out of coal of Jesus standing behind a praying coal miner. I bought the sculpture for a few dollars and took it home and enjoyed many different sessions using it for Christian meditation using art. It seemed like every time studied it I noticed a new detail I discovered a new truth or perspective. Group mediation. I have also found that doing Christian meditation using art can be done in groups with deeply meaningful results. I have led classes where we take about five to ten minutes during class to all meditate on the same piece of art that I’ve printed out onto individual pieces of paper. Afterwards we then share what spoke to us personally in our meditation time. It’s always amazing to hear how one image can say so many things to so many people in a way that is perfect for their current life situation. It also enhances the individual’s experience to discover things that other people found that spoke to them. Images on the same theme. Another variation of doing Christian mediation using art I’ve used is to find various images of the same subject and meditate on them letting each new image bring me into a deeper understanding. As an example, I looked up online pictures of Christ, the Good Shepherd. These included the usual pictures of Jesus carrying a lamb draped around his shoulders. However I was very surprised to find an image entitle Christ the Good Shepherd that showed Jesus with a young man draped over his should instead of a lamb! This new image had quite an impact on my appreciation of Christ as my Good Shepherd. Unexpected places. 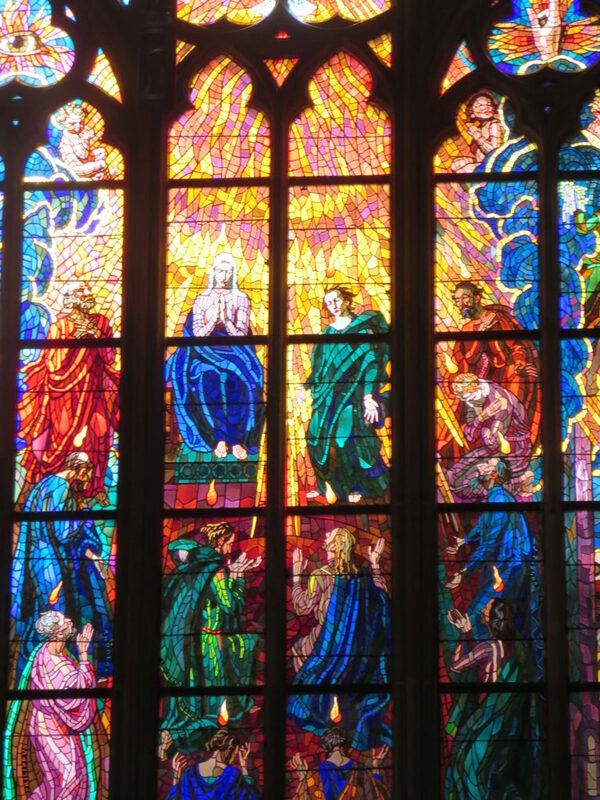 I also found that seeing religious art in unusual places can be a call to meditate and to marvel at how God can be kept visually present through artwork even when the general public is non-religious. 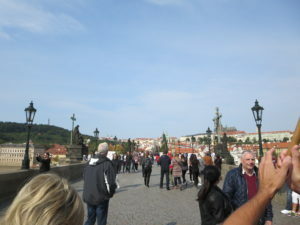 As an example, when we were visiting Prague I was amazed to see 30 historical religious sculptures standing all across the ancient Charles Bridge that crosses the river. 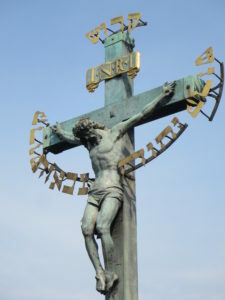 One in particular, “The Crucifix and Calvary” is a very striking portrayal of Christ’s death on the cross. Gardens and private college campuses. I’ve discovered the special charm of church yards and gardens specifically created to combine artwork and symbolism with nature. One of my favorites is Guido Gardens in a farming community in Georgia created by an evangelical ministry. Another spot that surprised me was the campus of Notre Dame University in Indiana where Christian artwork abounds for outdoor meditation. Explore unfamiliar Christian art forms, such as icons. Those of us who didn’t grow up in the Orthodox branch of the Christian church often overlook icons as a means of Christian mediation using art. I purchased a book on icons that shared some of their symbolic meanings and it helped open my eyes to the many messages that each communicates about God. The most common icon is Christ the Pantocrator. This word can mean almighty, all powerful, ruler of all or sustainer of the world. The equivalent in Protestant artwork would be scenes of Christ in majesty. These types of art bring us into a different sort of wonder of Christ’s role in heaven, in the history of the earth and in eternity. Artwork has been used since the beginning of Christianity. However, before formalized church meeting places and during the early days of persecution, Christian artwork was often done via symbols such as the sign of the fish, an anchor or the Lamb of God which would appear to outsiders as ordinary decorations. Some of the earliest surviving Christian artwork is found in the Roman catacombs from around the 200’s. 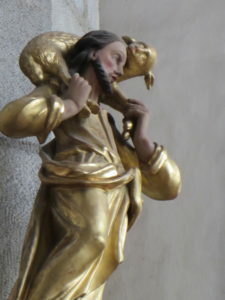 Here you’ll find examples of the Good Shepherd, another image that would remind believers of Christ but would not be seen as a picture of Jesus by the pagans. In the 4th Century Christianity was legalized and churches began to be constructed. These sanctuaries required architecture and artwork to enhance the understanding of God and to engender a feeling of closeness to God. Themes began to evolve into more theologically rich artwork such as extensive images of Old Testament and New Testament scenes. Other early church art included illuminated or illustrated manuscripts which were hand-copied Bible pages. Another was icons, which were stylized and highly symbolic paintings of Christ, Biblical scenes and the saints. Today you can find a fascinating mixture of ancient and modern artwork in churches all around the world. Sometimes you can find both in the same sanctuary. Throughout the ages, Christian artwork has been the hallmark of the Church. It continues to help us grasp things about God with the more intuitive, emotional, experiential and spiritual side of our senses. And it acts as a window into heaven.